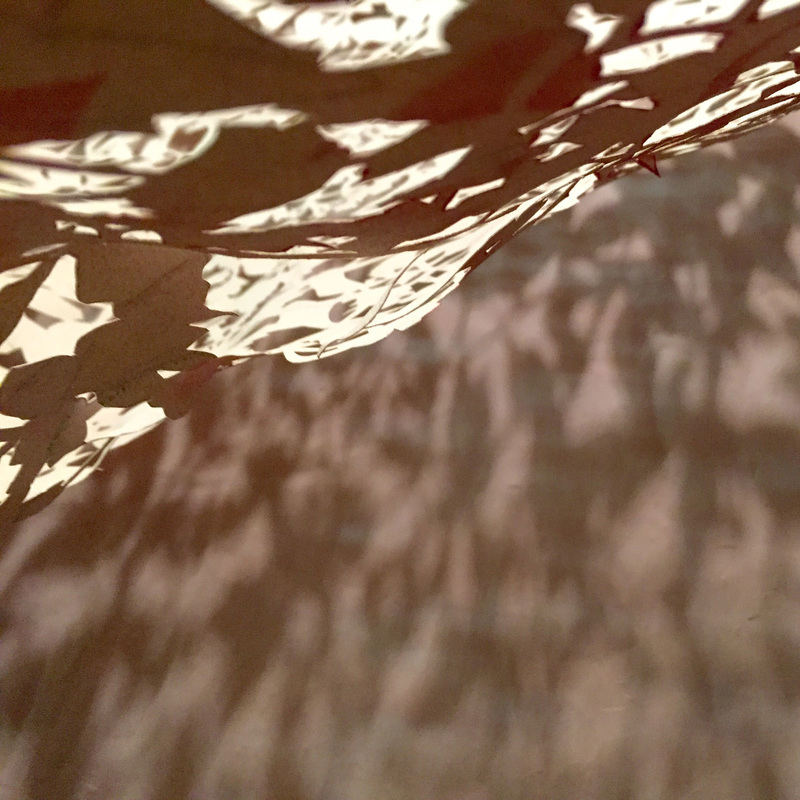 Emerging Rockport, Maine-based installation artist, Hannah Berta, cuts away organic shapes from yards of “altered” muslin creating an intricate lace of mark-making using form, light and shadow. Her piece, ‘Via Estrellas’ will take center stage in the Main Gallery. Hannah Berta grew up in Rockport Maine, an environment with four distinct seasons; four distinct sun & moonlights. From a young age her awareness of light, colors, shadows & the effects that these held upon the population and environment defined her aesthetic direction. Ms. Berta graduated from the University of Maine, a prestigious art department where she was lead by renowned printmaker Susan Groce. Here she learned to explore the boundaries of paper. These techniques were furthered with her studies at Haystack Mountain School of Crafts with internationally known fiber artist Piper Shepard, who initially guided her in cut-muslin. Ms. Berta's work urges you to be still. To slow the duration of time as light trickles and filters through space. To ponder the unpredictability of the natural world, the curiously perfect imperfections that exist.